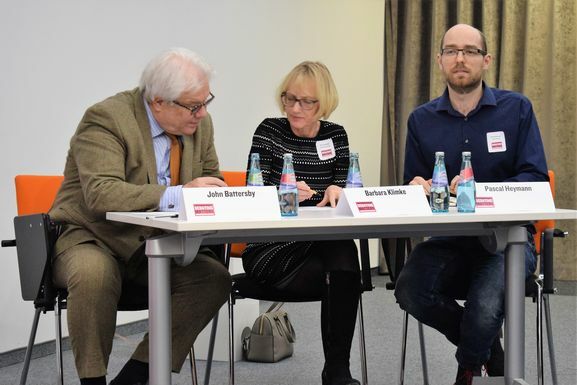 University of Applied Sciences Europe hosted an exceptional day of debate, in partnership with Freiblickinstitut. 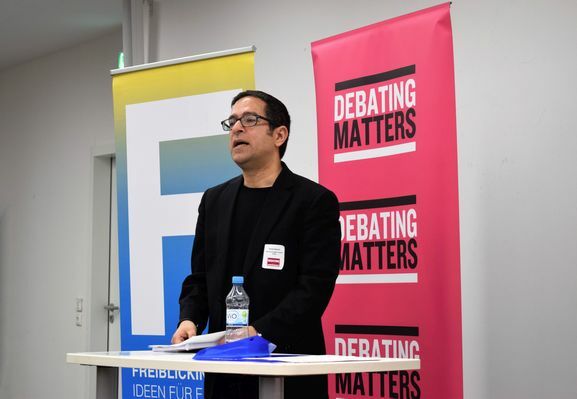 Debating Matters came to Berlin for a great day of robust intellectual argument at University of Applied Sciences Europe (UE). The day demonstrated once again the value of serious, well-researched and, above all, free debate. 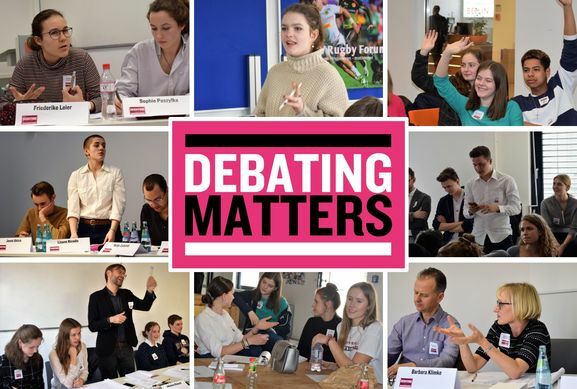 Twelve schools battled it out for the brand-new Debating Matters Berlin trophy across a series of debates on four important and topical questions. It was Bertha von Suttner Gymnasium who emerged on top, impressing early on in their debates on ‘Tourism benefits the world’ and ‘The constant monitoring of our health does more harm than good’. 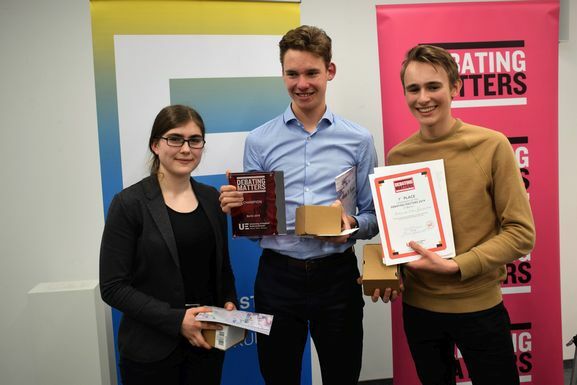 They won their semi-final debate on ‘It is wrong for countries to offer tax incentives to attract investment’, before a hard-fought final against Leibniz Schule Berlin, where they successfully defended the motion ‘Western museums should agree to repatriate cultural artefacts’. In this final debate, Bertha von Suttner Gymnasium made a bold and unapologetic case for the complete and total return of all colonial-era artefacts, arguing that the onus was on Western countries to address concerns such as the safe storage of artefacts in their ‘original’ countries – with reparations if necessary. The final was typical of the day as a whole. Students from all the competing schools took to heart the Debating Matters mantras of ‘substance over style’ and ‘ideas matter’ to continually impress with their great research and bold arguments. The debaters were also willing to engage in frank and open exchanges with the judges. There was also a great spirit of collegiality among all participants, with the different schools mixing informally with each other and the judges. As ever, the judges provided the tough cross-examination that is one of the many distinctive features of Debating Matters. Over 30 renowned individuals from the worlds of journalism, academia, government and business gave up their time to put the students through their paces and determine the winners. Their commitment to taking young people – and their ideas – seriously is to be applauded. The Berlin 2019 championship was generously supported by UE, who not only hosted and provided catering, but also donated a number of prizes to the winning teams and individuals. Among the prizes awarded to the ‘Best Individual’ at the competition, Anna Pöggeler (from Bertha von Suttner), was a huge discount on first-year fees at UE. The coveted ‘Highly Commended’ and ‘Commended’ individual prizes went to Karina Schneider (of Gottfried Keller) and Lisann Kirmße (also of Bertha von Suttner) respectively. 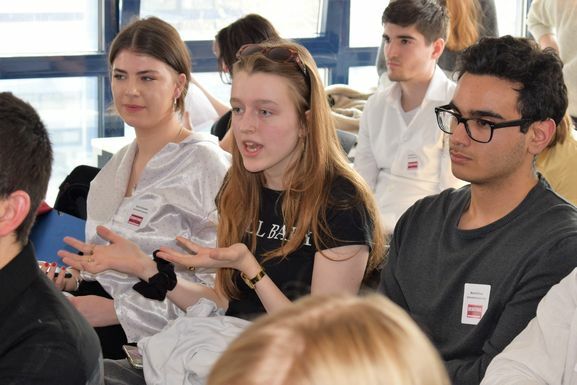 In partnership with Freiblickinstut, the day saw all the participants gain a deeper understanding of the issues at hand, and discover that there are a wide variety of young people in and around Berlin who value serious, frank and considered debate and discussion. Long may that continue.